Sometimes, I think we all obsess so much about going abroad, we don’t bother to visit places in the UK. There are obvious climatic reasons behind this, but I do think it is worth visiting places nearby more often. 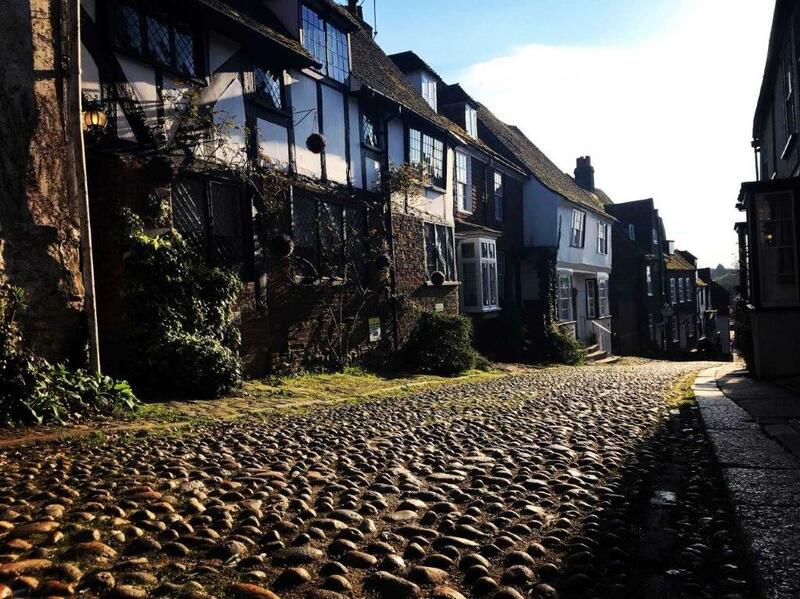 This weekend we headed off to Rye on an AirB&B weekend. I am not very familiar with the south east of England. Apart from Dover for ferries and Tunbridge Wells as a kid, I have barely gone east of Brighton. So, after it popped up on a couple of travel sites witnessed by Jennifer and Mandy, off we went to Rye. We didn’t really know what to expect, other than cobbled streets and a biting wind direct from Scandinavia. We got both, as well as a lovely little homely Tardis of a cottage in the middle of town. After a brief walk around, we stopped in the famous pub, The Mermaid, and heartily tucked into a few drinks. The Mermaid is a quintessential place that is so popular, we saw Richard & Judy from the TV; they even said hello. We then went to The Ship for something to eat which was pleasant enough. We met a retired couple (about 60) in there who are professional B&B staff. This is very clever. What they do is look after B&B’s for people when they are on holiday. It’s a bit like being a temporary landlord in a pub. You get paid and you get to stay in loads of nice places for free. All you must do is make other residents their breakfast. So, we left there and went for a beer in The Standard. It was packed out, chiefly with rich people trying to look bohemian. The best way I can describe it, is that it looked like a Mumford & Sons appreciation night. There was even a posh chap in there with dreadlocks which are perfectly acceptable if you are West Indian. However, if you are white with a City boy accent, it is a little nauseous. Still, at least it was friendly, but we only bothered with one drink and retired. 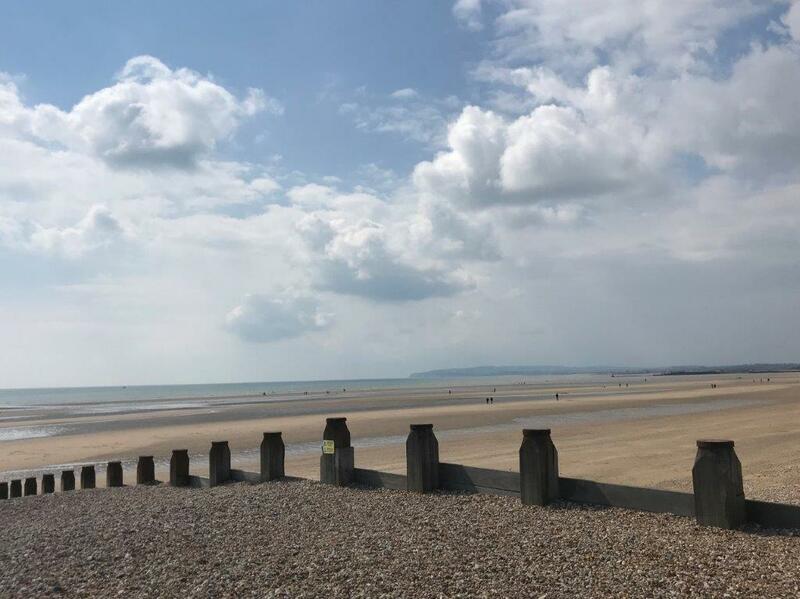 On Saturday, we drove from Rye to Camber Sands. The drive took us through a landscape that must have been used countless times on BBC murder mystery dramas. It was bleak but alluring, if that makes sense. Camber Sands itself is vast, and in a cold easterly blast it looked like a place balanced between success and failure. The seafront is an eclectic array of dereliction and ostentatious art deco pads that must have cost hundreds of thousands of pounds. Despite the cold wind, it was an interesting and intriguing place to visit for the first time. 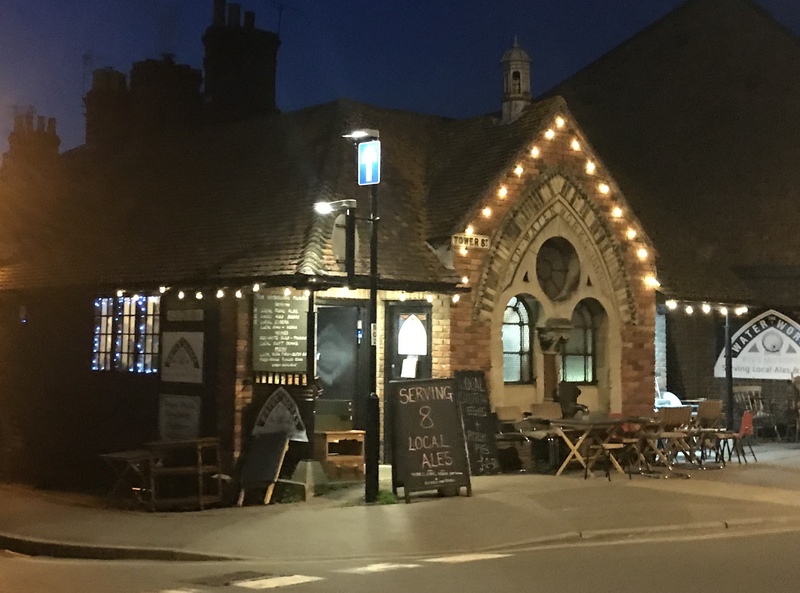 We headed back to Rye and after a brief rest, we headed to what instantly became one of my all-time top 10 pubs. A water works converted into a microbrewery and a pub. It was bustling, eccentric and full of beers served by quickfire staff. It was just a shame we couldn’t stay longer as dinner was booked. Dinner was in The George, a big posh, hectic pub restaurant. The food and wine were great, as was the general atmosphere. With a fair few drinks and 2-3 courses, £60.00 a head was reasonable enough, I thought. from there we retired and on Sunday we returned homeward via Hastings. We didn’t hang about as Hastings looked a bit like Brighton gone wrong. Investment appeared low and poverty high; it was a bit of a depressing place, but I shouldn’t comment further as we only passed through. It may be much nicer than it appeared. All in all, it was a great break. I would really recommend Rye for a weekend visit, even it does look like it has suffered from an outbreak of ‘World War Twee’. There are also plenty of mildly aggravating city types trying to be rustic, but in general, it is a warm and friendly place. I don’t think anyone visiting there will be disappointed. No Replies to "A Short Trip to Rye"